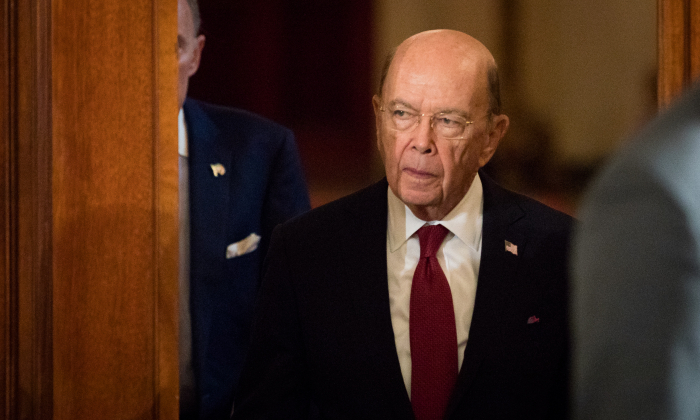 Chinese telecommunications giant ZTE agreed to pay a $1 billion fine and submitted to strict compliance measures in order to regain access to technology in the United States crucial to its business, Secretary of Commerce Wilbur Ross announced on Thursday. Under a deal sealed at 6 a.m., ZTE will pay $1 billion up front and place $400 million in an escrow account. The company also agreed to replace its entire board of directors and senior management in 30 days and to have a compliance team assembled by the U.S. Commerce Department embedded in its operations. Under the 23-page deal, ZTE will pay the salaries of the compliance team, which will report to the department’s Bureau of Industry and Security and ZTE’s new chairman for 10 years. ZTE had previously violated U.S. sanctions against North Korea and Iran. That violation was settled in March last year with the company agreeing to pay an $892 million fine and place $300 million in escrow. American authorities later learned that ZTE had lied both before, during, and after the March 2017 deal. The company allegedly paid bonuses to employees who violated the sanctions, while telling American counterparts that those employees have been disciplined. In response, American export watchdogs blocked ZTE from buying parts from American tech companies like Qualcomm, Google, and Corning. The technology blockade brought the $17 billion company to its knees and prompted a personal plea to President Donald Trump from Chinese President Xi Jinping. Trump obliged and ordered the Commerce Department to work on a deal. The combined penalties against ZTE now add up to $2.29 billion, with an additional $400 million in escrow that the United States can withdraw in case the Chinese company runs afoul of the deal. ZTE originally violated U.S. sanctions against Iran by conspiring to “supply, build, and operate telecommunications networks in Iran using U.S.-origin equipment in violation of the U.S. trade embargo.” The company also violated hundreds of U.S. sanctions by shipping telecommunications equipment to North Korea. The deal with ZTE comes as Trump is pushing to rebalance trade with China. Ross was in Beijing over the weekend for high-level talks. The United States levied tariffs on $50 billion worth of Chinese goods in March. The exact list of items has not yet been finalized. Trump wants to use the trade negotiations to recoup massive losses to the American economy from decades of intellectual property theft and forced technology transfers by China’s communist regime. Ross has noted that the United States is finally pushing back. The deal also comes less than a week before Trump’s Singapore summit with North Korean leader Kim Jong Un. Beijing is crucial for maintaining strict international sanctions against North Korea as Trump seeks to force Pyongyang’s reclusive communist regime to abandon nuclear weapons. Most of the goods enter North Korea via the border with China. Trump has thanked Xi for maintaining strict control of the boundary. ZTE was the first Chinese telecommunications company to go public. It was the fourth-largest smartphone maker for years until its recent tumble in the ranks due to aggressive competition.